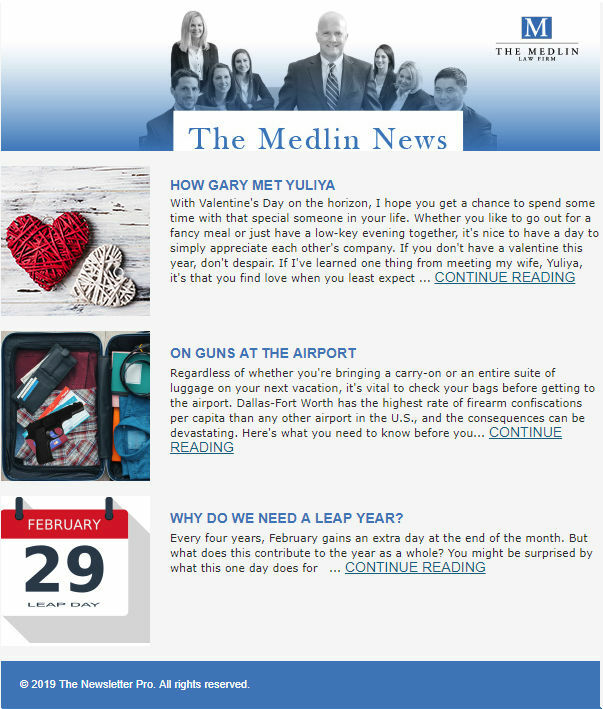 On the latest edition of The Medlin News, Gary Medlin discusses a variety of topics including how he met Yuliya, on having guns at the airport and why is February need leap year. 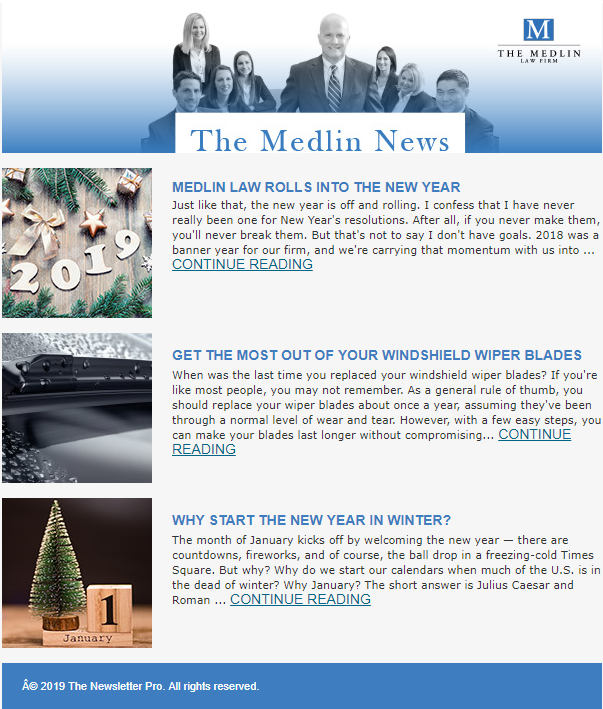 On the latest edition of The Medlin News, Gary Medlin discusses a variety of topics including how to get the momentum rolling for a new year. 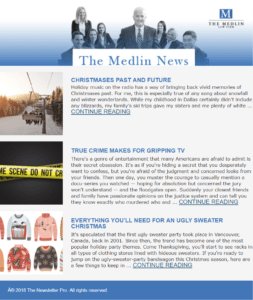 The latest edition of The Medlin News focuses on Christmas and interesting historical Christmas facts. 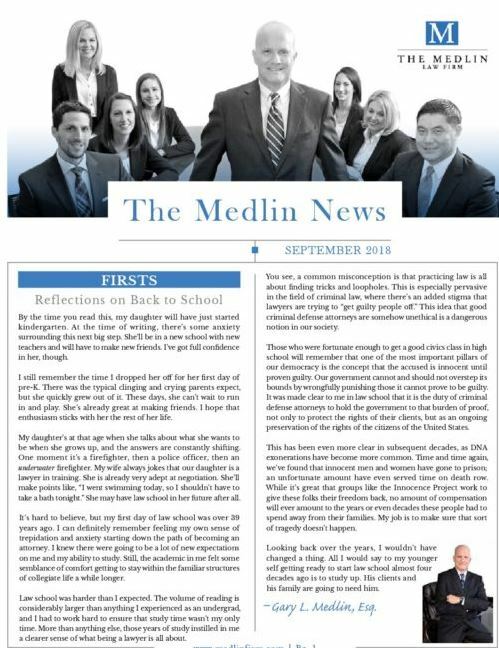 The latest edition of The Medlin News discusses back to school reflections and your summer workout routine. 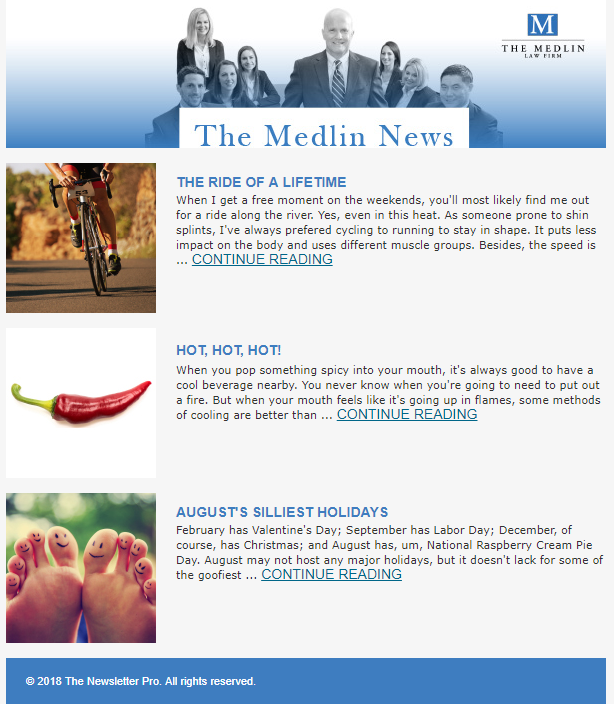 The latest edition of The Medlin News discusses the benefits of cycling and some of the most ridiculous summer holidays. 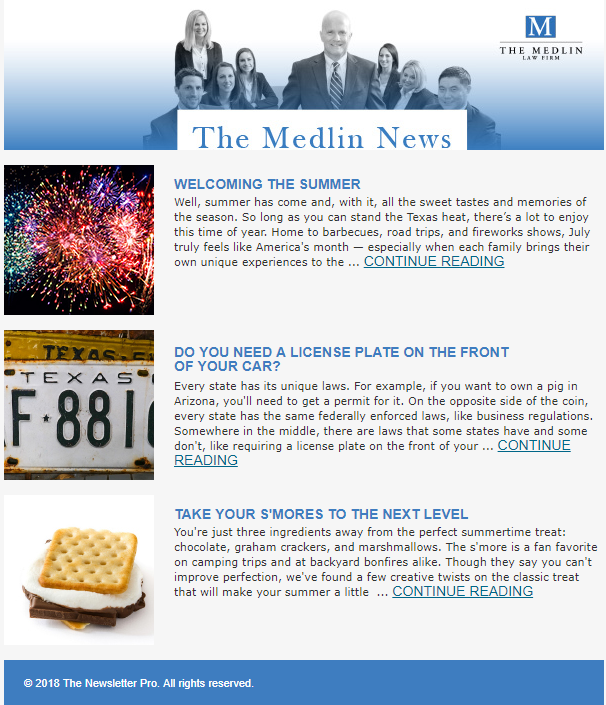 Summer edition of The Medlin News covering the importance of license plate laws in Texas and instructions for making the best s’mores possible. 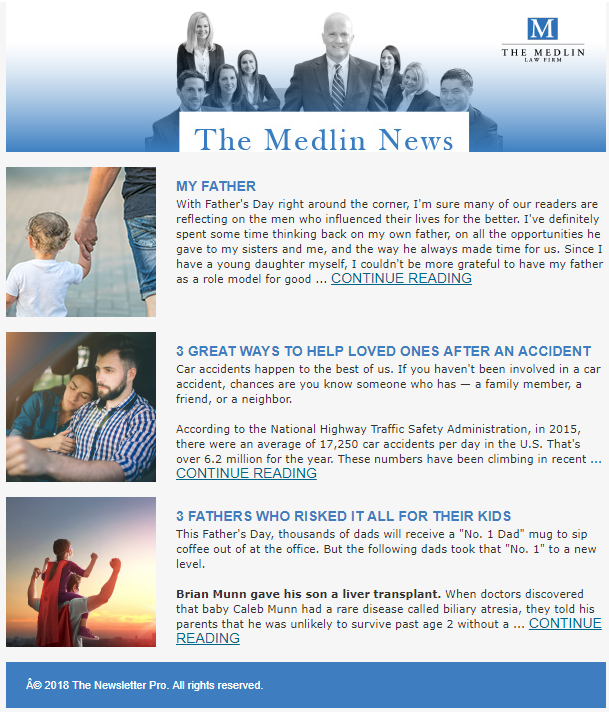 Our special father’s day edition of The Medlin News takes a father-centric approach to personal injury with stories about 3 fathers. 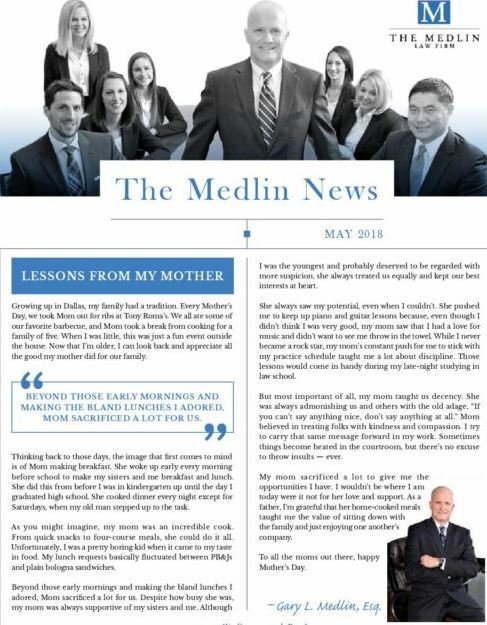 In a special mothers day addition of The Medlin News, founder Gary Medlin discusses all the lessons he took from his mom. 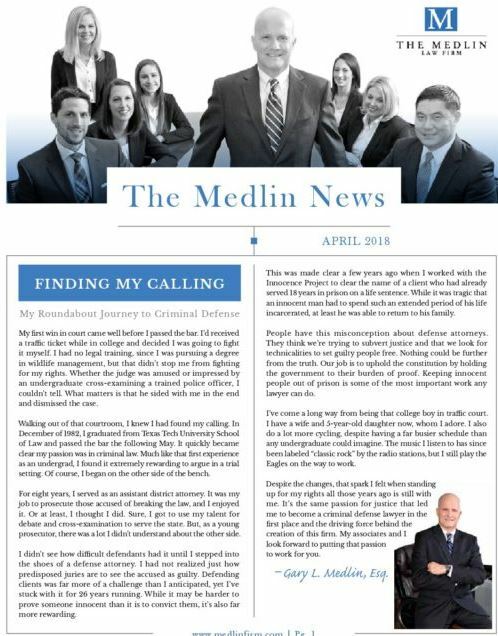 The Medlin Law Firm discusses the benefits of a “media detox” and firm founder Gary Medlin discusses how he found his calling in criminal. 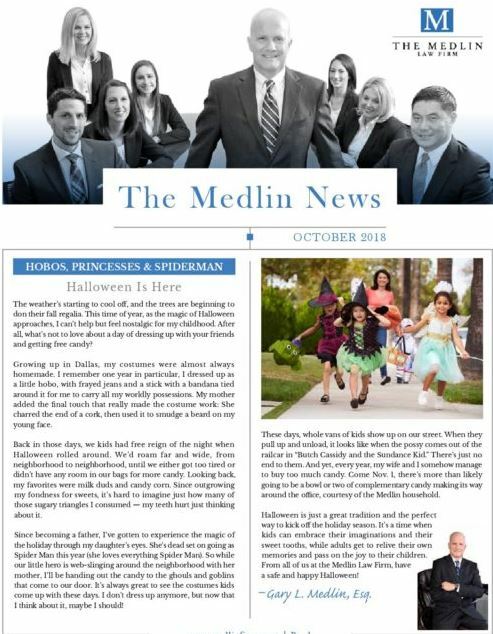 My first win in court came well before I passed the bar. I’d received a traffic ticket while in college and decide. 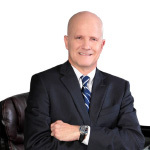 Under the wrong circumstances, any Texas driver can be charged with driving while intoxicated (DWI), whether they are guilty or not. 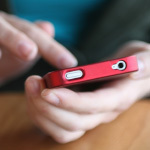 With the current trend of getting TV, social media, and news alerts sent to our phones, we have access to more media than we could ever consume.